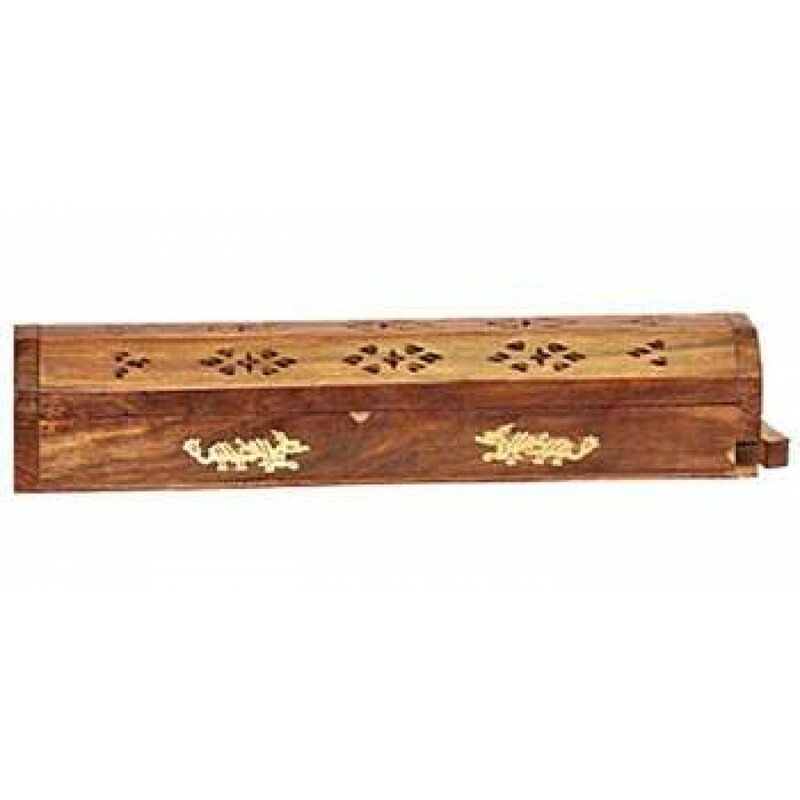 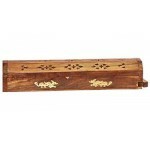 Hand carved wooden incense coffin box not only stores incense, it is also a burner for incense sticks. 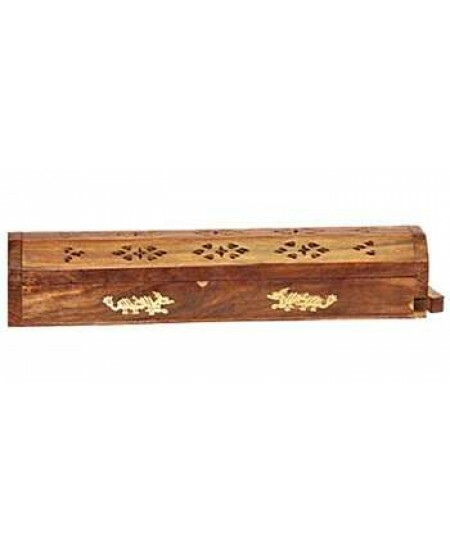 Measures 12 inches long with brass inlay and perferations. 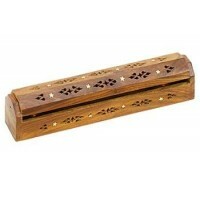 Item Number: OI-WBR104 | Approximate Size (Inches): 12.00 wide x 4.00 deep x 3.00 high | Approximate Shipping Weight: 1.00 lbs.